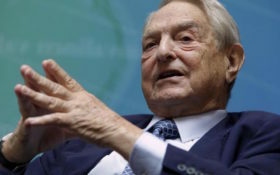 Satan is alive and active on planet earth – and George Soros is doing his will, destroying one patriotic nation after another, according to a Hungarian politician. The mega-billionaire’s war on countries that refuse to accept millions of Muslim immigrants from the Middle East is really “Satan’s Soros Plan,” he said. Andras Aradszki tore the lid off the plot on the floor of Hungary’s national parliament in Budapest. “Yes, I speak of an attack by Satan,” said Aradszki, the nation’s energy undersecretary. Aradszki, who is a member of the Christian Democratic People’s Party, said George Soros wants the European Union to siphon away the national sovereignty of its member nations, bribe them – or force them – to accept waves of Islamist “migrants,” and destroy the traditional Christian civilization of each and every country in the world. Soros admitted parts of the “Soros Plan” in an op-ed in 2015, calling for Europe to do nothing about the uncontrolled flood of Islamist immigrants. EU nations would just receive these people, and their languages and customs, whether they like it or not. “The EU has to accept at least a million (Muslim) asylum-seekers annually for the foreseeable future,” Soros wrote. He said the EU needed to develop a “comprehensive plan” that will “reassert effective governance” over its 28 member nations. The most important thing, he wrote, is that the EU “put an end to the panic,” because too many nations were opposed to being flooded with Muslim fundamentalists coming from terrorist-sponsors. Why not? The jet-setting Soros can always flee to another one of his mansions, behind massive gates secured by teams of armed guards. This this is all part of his plan to destroy traditional religious culture and create a new world government, Aradszki stated. “Soros and his comrades want to destroy the independence and values of nation states for the purpose of watering down the Christian spirit of Europe with the forced settlement of tens of millions of migrants,” Aradszki said. Aradszki said, though he was in Hungary at the time, he prayed in his heart with millions of Polish people during the “Rosary on the Borders.” Millions circled Poland, surrounded it in prayer, and made a statement that their nation was closed to Islamic terrorism. Until then, he praised the government for mailing response forms to every home in Hungary, asking their opinion on “the Soros Plan” earlier this month. Hungary has come out swinging against Soros’ financial – and political – war against the West. Prime Minister Viktor Orban is Soros’ Public Enemy Number One. He has exposed Soros’ plans and massive influence on the governments of national, and international, bodies. He has opposed Soros opening his own university in Budapest. Hungary’s deputy prime minister said that Soros’ war is part of a long, proto-Communist hatred of God, freedom and patriotism. “Fundamentally, the root of this hundreds of years ago started from Freemasonary’s inspiration, which later had a Jacobin version and a Bolshevik version, and one of its many branches is the Soros-type extreme-liberal thing,” said Zsolt Semjén on national radio the day after Aradszki’s speech. Media outlets have dismissed these warnings about Satan’s plan to import terrorists as anti-Semitic hatred. Soros, who was born Jewish, allegedly collaborated with the Nazis before fleeing his home country. A Soros spokesperson told the Financial Times that normal European citizens have nothing to worry about. “There is no such thing as a global conspiracy against Hungary orchestrated by George Soros,” he said. Soros has made a fortune betting on the stock market – but the Hungarian people aren’t buying his bull on this. “We want a Hungarian Hungary and a European Europe,” said Orban. Hungarians overwhelmingly want to preserve their own culture, language, and borders – and they’re reward politicians who are willing to do something about it. More than 80 percent of the Hungarian people support the two toughest parties on border security: Viktor Orban’s Fidesz Party and the even more nationalist Jobbik Party. Orban seems to be a shoo-in to win a third term as prime minister in April. Meanwhile, Soros is ginning up his operations in the U.S. He refilled his Open Society Foundation with $18 billion of his personal wealth to wage political warfare against America. Maybe it isn’t just political – maybe it truly is demonic. 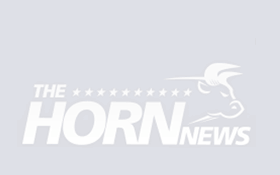 Be sure to read The Horn News as we expose Soros’ anti-American political maneuvers around the world. And say a prayer for America this Sunday – and everyday – that Soros’ money won’t convince us to destroy our country’s foundations.